Synopsis: You head further into the vast forgotten sections of the Temple of Vandora. This is probably the best archetype of Nali ruins ever made in Unreal. Every time I think of something Nali+ruins this is the first map that comes to mind (and the maps before/after this one of course too). Which is amazing considering this guy was just a MP mapper only; he got inspired by a photo of a certain real life huge wall/bridge which I forget the name every goddamn time. It's overall the epitome of a modern view to Unreal if one has to do develop something similar nowadays. On the topic of theme and its relationship to the Vandora Temple of Unreal, it's easier to think of it as two ruins, not one. 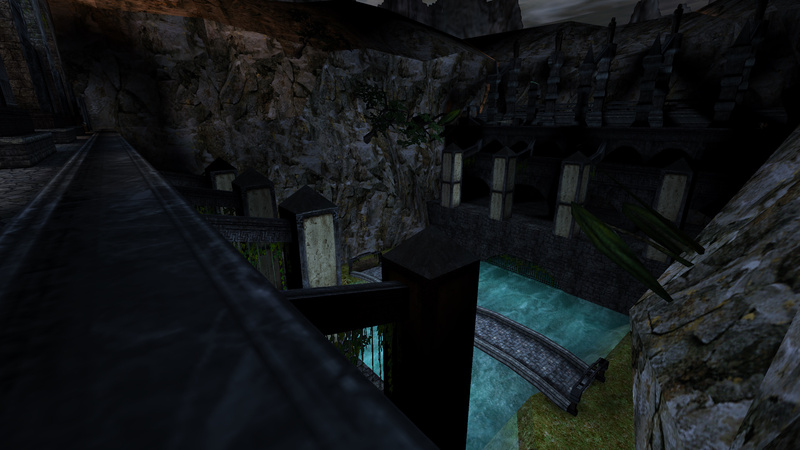 The Temple in Unreal was built over the ruins seen in the three levels made for this campaign. One of the best maps in Seven Bullets, and one of the most impressive ruins maps in general. It looks great and the bridge area grounds the structure of it. It doesn't have too much established backstory (at least in the first two maps), but there's enough interactive elements, set-pieces, interlinking and interesting details to stop it from being a pretty corridor. Ok so it's a bit better than 5a. This canyon idea was from some photo. I never thought it would turn out ok. Well, it's a matter of perspective to whether it did or not, but whatever. Some messy bits. After playing doom3 I went back and added a bunch more spinners. I am in awe that the map didn't just get swallowed by some huge BSP hole from all those polys out in the canyon. Like the first map, once I'd finished both i went back and done a second pass changing some of the worst parts. This was originally part of the first map but I hit UEd's 65536 node limit pretty early on into 5b's part, so it had to be split. 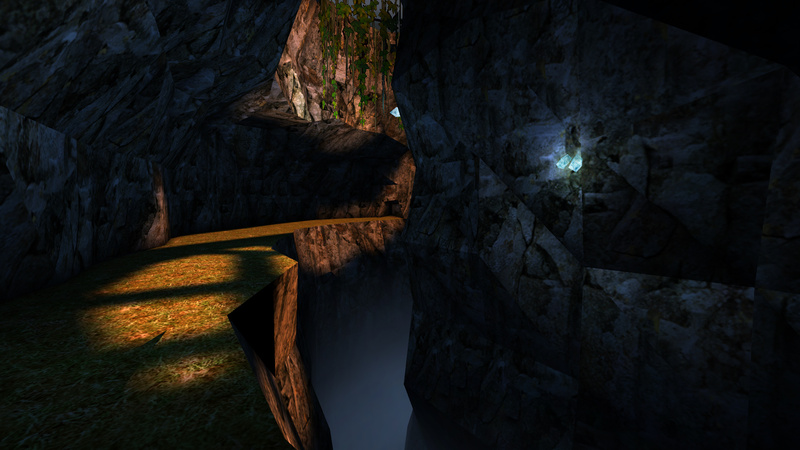 Lighting this canyon was impossible since a 255 radius light is nowhere near large enough to light it properly. I was happy with how the sense of scale turned out. It makes you feel tiny, which was the plan from the outset. Like the UEd-findable 'Easter-egg' says, I had a good liquid fuel to help me along the way. 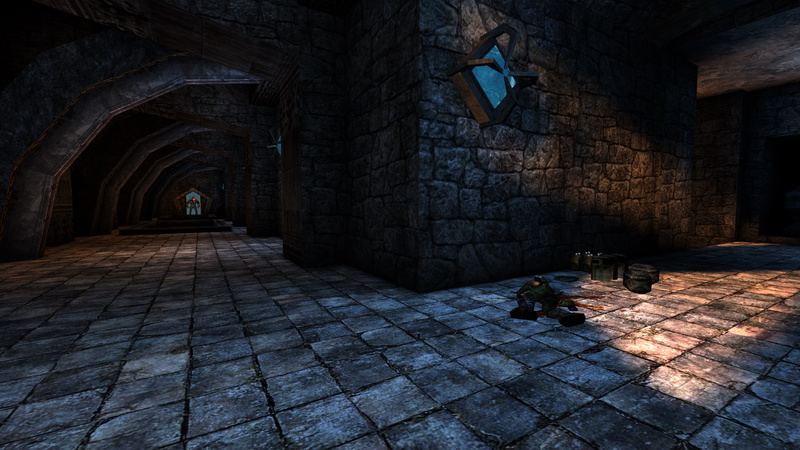 Easily one of the best maps in the pack, Map5-B shows off some outstanding stuff from Darthweasel. What I like most about this map is how desolate it is. I wanted the map to be like that and Darthweasel really fleshed that idea out in here. The map doesn't have much sentient presence aside from the bodies of the USM marines that got lost along the way. What we have here is a decaying temple loaded with infestation and disarray. What I think is cool about Graeme is that he never really played Unreal and yet he understands how to capture the atmosphere of Na Pali with this map. The thing about Unreal was that it filled you with awe, and that same kind of wonder that made Unreal's maps interesting (at the time) makes this map interesting. 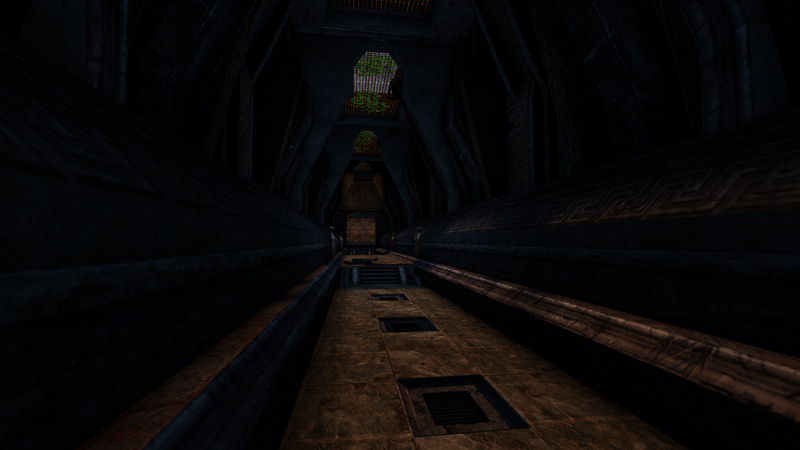 "The Lost Passage of Vandora" is truly a cool map that captures the old feeling of awe Unreal had, where players found themselves slipping through the story and wandering into unknown environments without any sense of objective.